It was May 1934 and Grant County was crawling with agents of what was soon to be known as the F.B.I. John Dillinger was public enemy number one, and word had gotten to J. Edgar Hoovers “flying squads” that Dillinger was hiding out in an abandoned Mine shack four miles northeast of Cuba City, near Jenkinsville after the shootout at the Little Bohemia Lodge near Mercer on April 22, 1934. 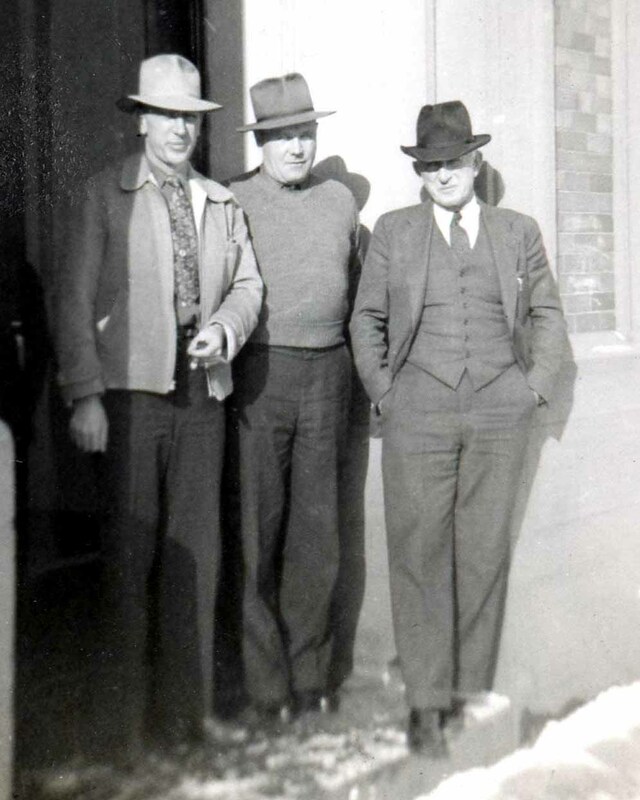 Dillinger, Homer Van Meter, and John “Red” Hamilton had escaped, but Hamilton had been shot in the back from long range by local police while sleeping in the car.Needing a place to hide, Dillinger had either found, or more likely been directed to the abandoned shack. Perhaps he had known of it before the battle at Little Bohemia. Agents searching the area did not find Dillinger or his gang but found evidence, including clothing that convinced them that this indeed had been a hideout for Dillinger’s gang. Possibly they found the bloodied clothing of Hamilton who died six days after being shot. The Dubuque Telegraph Herald of May 18, 1934 reported that “The discovery of a blood soaked automobile abandoned by members of the Dillinger gang in Chicago of a Telegraph Herald and Times-Journal published the day after Dillinger escaped the trap (at Little Bohemia) and a Shullsburg, Wis. Weekly of the week before satisfied officers that members of the gang had been in this vicinity”. Did Karpis and Fred Barker keep Bremer at the mine shack? We will never know for sure. 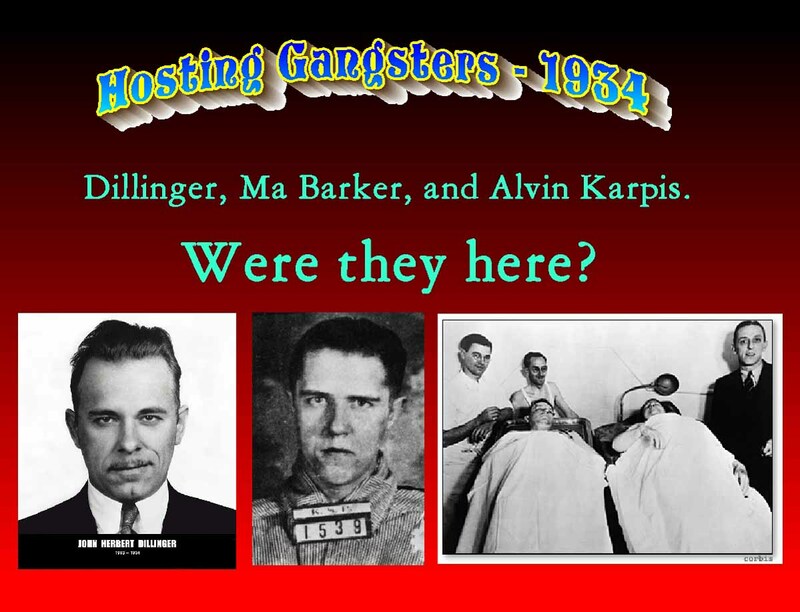 Certainly Dillinger and Karpis were known to each other, and had friends in common. Baby Face Nelson had met Karpis and the Barkers in Reno in 1932. Volney Davis, an Oklahoma bank robber and outlaw knew Dillinger, and was a member of the Karpis- Barker Gang. In late April 1934 Dillinger had visited Davis with the injured John “Red” Hamilton in Aurora, Illinois. Davis girlfriend, Edna Murray was believed to have nursed Hamilton until he died. Volney reportedly helped Dillinger dispose of Hamilton’s body, which was never recovered. Fred and Arizona “Ma” Barker were killed in a gun battle with the FBI in Florida in January 1935. Dillinger was shot in the back by federal agents while leaving The Biograph Theater in Chicago on July 22, 1934. 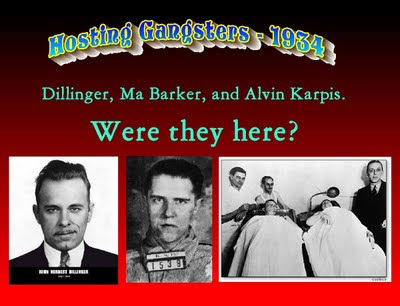 Arthur “Doc” Barker, Volney, and Karpis were captured and sent to Alcatraz. Arthur died trying to escape from the rock in 1939. Most of the ransom money was never recovered. The Midway tavern sits between Lancaster and Potosi on Highway 61. Oral tradition has it that Dillinger was a visitor in the 1930’s. A written piece on display at the Passage Thru time Museum reads: “A frequent visitor to the tavern in the 1930’s was John Dillinger. The current owner, then a child, tells of seeing a limousine pulling into the tavern and filling up with gas. The sheriff at that time, Joe Greer would meet this well dressed person. The storyteller goes on to say that he would ask his father who that well dressed man was in the big car with the smoky colored windows. His father would say “never mind, I will explain to you some day”. This well dressed man, John Dillinger used to give the youngsters in the area a dollar to buy candy and pop”. 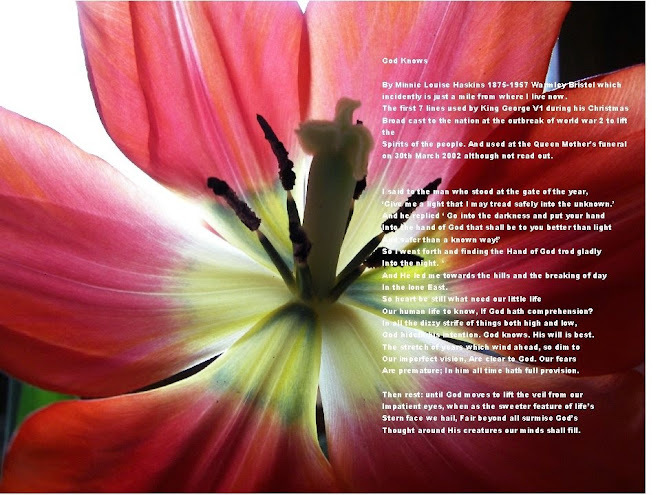 Could it be that Greer and Dillinger had an understanding? In fact, that was exactly the case in St. Paul, where Police Chief John O’Connor had an agreement with the gangsters of the era that, according to Tom Brady of the Minnesota Monthly went like this: “You’re welcome to visit and enjoy the pleasures of our city. Just let us know you’re here, and don’t bother us once you pull in”. Needless to say, St. Paul became a notorious refuge for those on the run from the law. When the Federal agents descended on the area Sheriff Greer was not informed or made privy to what was found. 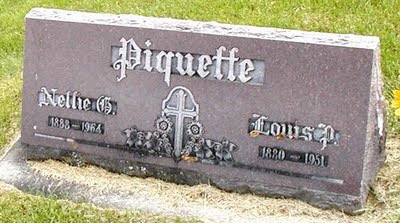 An interesting aside: Dillinger’s lawyer was the flamboyant Chicago attorney Louis P. Piquette. He was born in Benton Wisconsin and grew up in Platteville. He was convicted after Dillinger’s Death of harboring a fugitive, Dillinger, and arranging his plastic surgery. He was disbarred and sentenced to a two year term in Leavenworth Prison. When he was released he found work as a bartender. Early in 1951 President Truman pardoned him, and he applied for reinstatement to the Bar. He died the same year of a massive heart attack, and is buried in Hillside Cemetery in Platteville Wisconsin. Perhaps he, being a native of our area, had directed Dillinger to the Abandoned mine five miles from his family home. The answers will never be known.